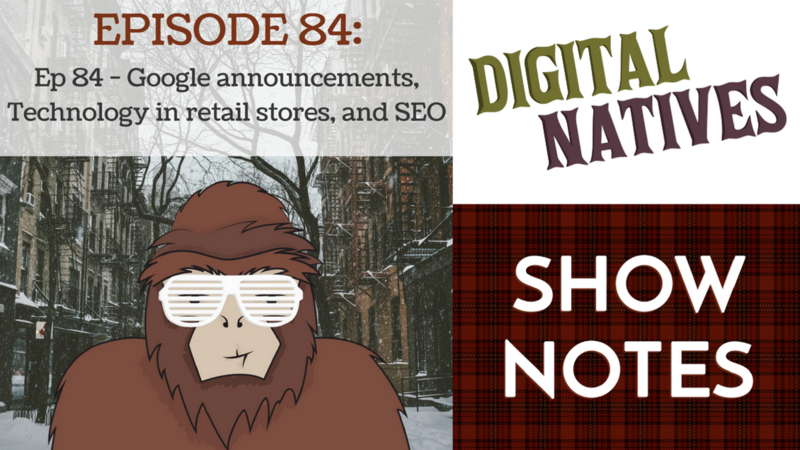 This week on Digital Natives, Kyle, Min, and Mitch talk about new Google announcements from Google’s recent conference. How Zara is using technology to enhance the customer experience. And SEO trends in 2018. Min shares 15 tips from Google’s developer conference. Listen in to hear about the new rollouts, including voice search, email auto-complete, and other awesome new innovations! Mitch talks about how Zara a large clothing retailer is upgrading the customer experience. From specific tools to enhance your experience and shareability of your experience to a more streamlined checkout, Zara is putting technology into your shopping experience. Kyle shares some interesting trends from SEO in 2018. Listen in to hear what you need to know about the future of SEO.